In my career as an environmental lawyer, I have focused on bringing people together to achieve cleanups, revitalize sites, resolve disputes. I concentrate on finding solutions and common ground. Outside of the legal world, I've found that the same bottom line applies: In the end, it's always the people who matter. Mr. Farer concentrates his practice on the impact of environmental laws on transactions and real property in New Jersey and around the nation. A nationally renowned environmental lawyer, he has been on the cutting edge of developments in the environmental sector since the 1980s, and is a Past President of the American College of Environmental Lawyers. Among his recent speeches were presentations at Oxford University's Smith School of Enterprise and the Environment, and at the XI International Convention on Environment and Development in Havana, Cuba. Mr. Farer has extensive experience related to the cleanup and redevelopment of contaminated properties including brownfields, environmental compliance and insurance issues, institutional and engineering controls, assessing and negotiating liability under federal and state Superfund laws, resolution of environmental issues in bankruptcy proceedings, litigation arising from those issues, and the emerging field of sustainable development and green building. He advises clients on environmental contractual protection techniques, due diligence, transaction-triggered environmental laws, funding options for brownfields redevelopment, state and federal cleanup liabilities, deed notices and use restrictions, and environmental disclosures. He also has substantial experience as special environmental counsel in bankruptcy proceedings, dealing with state and federal environmental authorities in the process of estimating and resolving environmental liabilities of bankrupt entities. 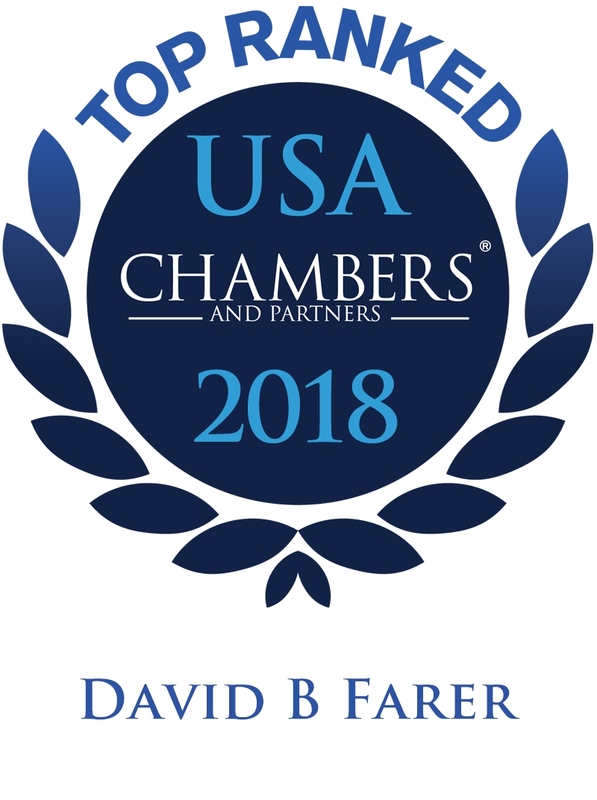 Mr. Farer serves as Special Master in environmental lawsuits in New Jersey, having been appointed to those positions by Judges of the Superior Court of New Jersey, Chancery Division. He is a qualified mediator under New Jersey court rules. He has also been selected by the United States District Court, District of New Jersey, to serve on the District’s Panel of Mediators, and has been appointed to an additional term on the panel. Prior to joining the firm in January 2012 as chair of its newly established Environmental Department, Mr. Farer chaired the Environmental & Brownfields practice group at Farer Fersko, where he established that firm's environmental practice in 1984. For over thirty years, Mr. Farer has written and lectured extensively on environmental issues in New Jersey and nationally. He developed and chaired two long-standing American Law Institute Continuing Legal Education (ALI CLE, formerly ALI-ABA) national courses of study: "The Impact of Environmental Law on Real Estate and Business Transactions: Brownfields and Beyond," presented since 1987, and "Environmental Insurance." Since the mid-1980s, he has developed and presented numerous seminars for the New Jersey Institute for Continuing Legal Education (NJICLE), including his longstanding series of lectures, programs and associated manuals on New Jersey’s Industrial Site Recovery Act (ISRA, formerly ECRA) and New Jersey’s Brownfield Law. His most recent NJICLE programs have focused on New Jersey's Site Remediation Reform Act and its Licensed Site Remediation Professional (LSRP) program. 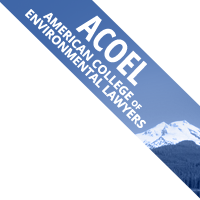 Having completed his service as President of the American College of Environmental Lawyers (ACOEL), Mr. Farer is now active in developing ACOEL pro bono projects in Cuba. In July 2017, he spoke at the XI International Convention on Environment and Development in Havana , where he addressed environmental regulation of critical infrastructure development. In 2015, he spoke at Oxford University on developments and trends in U.S. environmental law. Presented a talk at the Smith School of Enterprise and the Environment at the University of Oxford in March 2015. Mr. Farer spoke on the topic of "Real estate & business transactions as prime drivers of environmental compliance activities in the U.S. - Sources/Developments/Latest Trends." Interviewed David J. Hayes, Deputy Secretary of the U.S. Department of the Interior, at the October 2012 annual meeting of the American College of Environmental Lawyers in Washington, D.C. In 2009, Mr. Farer had the honor of interviewing Mr. Hayes for a special ACOEL presentation on the Obama administration’s environmental initiatives and priorities. Argued successfully before the Third Circuit Court of Appeals in U.S. v CDMG Realty Co., where the court held that an interim property owner cannot be held responsible under the federal Superfund law for “passive migration” of pre-existing contamination. Click here to read the Court's opinion. Lectured in London on U.S. environmental law issues. The three-day, April 2002 international law symposium was co-sponsored by the U.K. Law Society, the European Company Lawyers Association and ALI-ABA. Faculty members included former U.S. Supreme Court Justice Sandra Day O’Connor, senior judges of the U.S. Court of Appeals and other noted U.S. teachers and practitioners. Jazz musician, performing on alto and soprano saxophone. Released his first album – Netanya's Dream – in June 2017 on CD Baby and iTunes. Comprised of eight of his own compositions, the album features the David Farer Quartet. Contributing Author, Environmental Aspects of Real Estate & Commercial Transactions: From Brownfields to Green Buildings – Chapter: "Transaction-Triggered Environmental Laws"